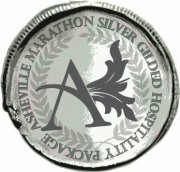 As historically true, the Asheville Half Marathon at Biltmore Estate has filled up before the first of the year! The Cindy Platt Boys & Girls Club of Transylvania County is a local, youth-development organization serving school-aged youth ages 5-18, to help them become productive, well-mannered citizens. Consider Haiti, based in Asheville, N.C., promotes the health & welfare of the youth in Haiti. It offers medical clinics for Haitian children that would otherwise not have access to medical care, works with locals to provide support to the malnourished and offers nutrition guidance and livestock resources to grow sustainable nutrition practices, and teaches Haitians how to clean water for consumption and other needs. YoungLife of Asheville/Buncombe County is a local world-class organization for adolescents, focusing on what matters to them — fun, adventure, friendship and a sense of significance. Present in more than 90 countries, each area relies on its’ community network to raise financial support. 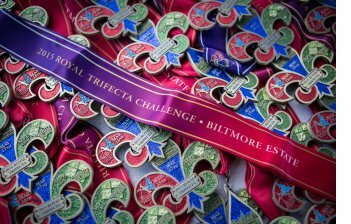 Join us for all three 2016 Biltmore Estate Events and get a one-of-a-kind challenger finisher award and special swag! 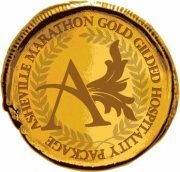 Register for the Asheville Marathon and/or Half Marathon, the Biltmore Kiwanis 15k or 5k in May and one of the September events at Biltmore: Asheville Duathlon (run/bike/run), 10k Off-Road Run (new for 2016!) or a Bike Gravel Grinder to complete the Challenge! Email support@idaph.net to complete your registration for the Royal Trifecta Challenge. Challenge Finishers will receive each distance’s race medallions plus a special, just-for-you Challenge Finisher’s Jacket, bragging rights and the opportunity to run on the very-private West Side during the Full Marathon! Sign up HERE! FOR THE ULTIMATE EXPERIENCE IN LUXURY, SIGN YOURSELF UP FOR ONE OF THREE LEVELS OF LIMITED AVAILABILITY PREMIUM HOSPITALITY, ACT QUICKLY! LEARN MORE | SIGN ME UP! The 2016 AVL Half Marathon waitlist has been activated. You must fully pay for the half marathon to be included on the waitlist. Registering for the waitlist does not guarantee entry into the 2016 half marathon. Entries will be given to waitlist participants, on a first-come, first-serve basis, when half marathon registered participants cancel or defer their entries to the 2017 event. If you do not get into the 2016 event, you will receive a discount code for 100% of what you paid for the waitlist registration to be used for the 2017 event. All participants on the waitlist will be notified by March 1st if they get a spot in the race. Register for Waitlist HERE. If you want a guaranteed half marathon entry we suggest you sign up for the Backyard to Vineyard Challenge, a VIP package or the Royal Trifecta Challenge or join one of our charities as a fundraiser for their charity. 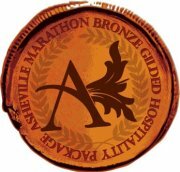 Showcase your company brand by partnering with the Asheville Marathon and Half Marathon and becoming an event sponsor. The majority of our sponsorship levels offer the opportunity for you to get a complimentary entry(ies) with your sponsorship package. Contact sponsorships@idaph.net for more information on sponsoring the event. Sign up for one of these 6 opportunities before all run out too!